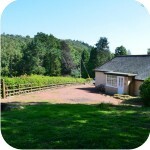 Holiday Cottages in Rothbury. Known locally as the Capital of Coquetdale, the traditional Northumbrian Village of Rothbury is built on a hilllside in the sandstone Simonside Hills. It offers an excellent range of shops, with many art galleries, tea rooms, cafes and pubs. It makes a very convenient base for fishing and for walking into the Northumberland National Park and Simonside, as well as offering less strenuous riverside walks. It really is an excellent base from which to discover Northumberland and we should know.... we live here! 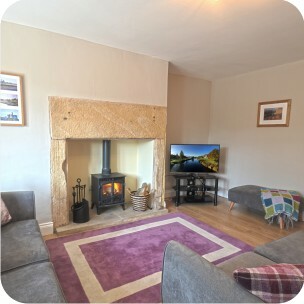 All of the properties listed on this page are in and around the Village so you know there'll be great walks and great amenities very close to hand on your holiday. Rothbury lies near the centre of rural Northumberland, 12 miles from Alnwick, 15 miles from Morpeth, 16 miles from unspoilt beaches and 29 miles from Newcastle upon Tyne. As such it has been a local centre since the 13th century and at various times had a castle, a market and magistrate's court. Nearby Cragside House and Gardens, home to Lord Armstrong is perhaps the most famous attraction in the area. Rothbury serves as a hub for the outlying Villages and as such has a good choice of places to eat and drink. You might be surprised to hear that in such a small place not only are there a number of pubs and cafes, but there is also an Italian restaurant, an Indian restaurant, Chinese takeaway and chip shop! The numerous cafes are extremely popular with the walkers and cyclists. Rothbury has an award-winning selection of local, independent shops in which you can buy practically anything from meat to shoes and wine. We have highlighted the best in independent retailers including crafts and gifts, food shops, supermarkets and clothing. There are also a number of art and crafts galleries that celebrate and sell original and local crafts. 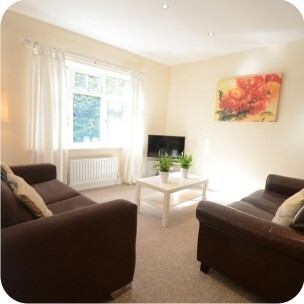 A brand new holiday home in the centre of Rothbury, tucked away from the Village centre down a side street Heather Cottage sleeps four people in comfort. Packed with character features including exposed stonework and even a roll top bath in the Master Bedroom! 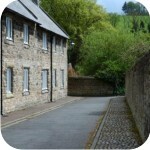 Rothbury is a wonderful central base for a holiday and you couldn't do better than staying at Hyem. More Information. A brand new holiday home in the centre of Rothbury, tucked away from the Village centre down a quiet private path Hyem at Model Buildings has been renovated in style. 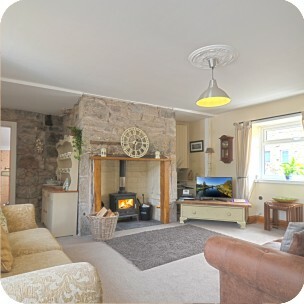 Hyem (a Geordie word for 'home') offers a beautiful log burning stove in the Living Room, sleeps up to four people and is pet and family friendly. 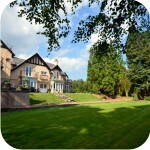 Rothbury is a wonderful central base for a holiday and you couldn't do better than staying at Hyem. More Information. A beautifully appointed holiday home a stone's throw away from the River Coquet in the beautiful Village of Rothbury. Built of natural sandstone by Lord Armstrong of the famous Cragside Estates in the 1870's, 'Neuk' is a North Northumbrian word for 'Nook' and it reflects the property perfectly. Tucked away from the Village centre down a quiet private path River Neuk is deceptively spacious. More Information.